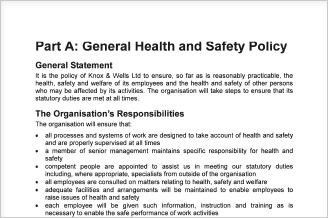 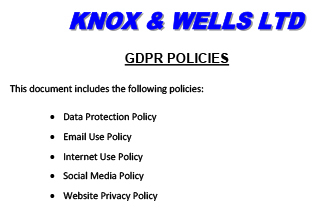 Knox & Wells Ltd is fully committed to ensuring that the Health, Safety & Welfare of everyone involved with its work activities is fully considered throughout the whole process, from inception through to completion. 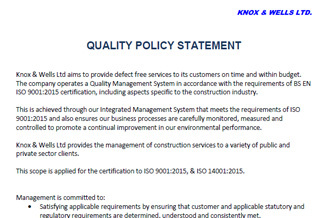 This culture is clearly demonstrated at every level within the company and the aim is to ensure that a healthy and safe working environment exists at every stage of the process. 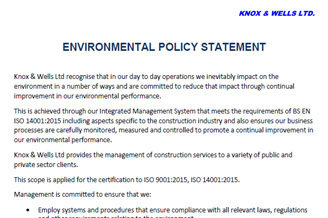 Knox & Wells also understands that the construction industry is a potentially very dangerous and hazardous industry to work in and as such employs a Zero Tolerance attitude towards Health, Safety & Environmental issues. 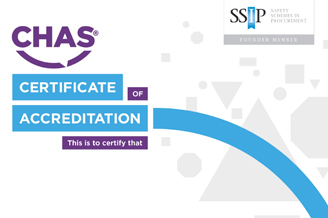 Knox & Wells will continue to maintain our H&S accreditations with both CHAS and Safe Contractor as and when they become due for renewal. 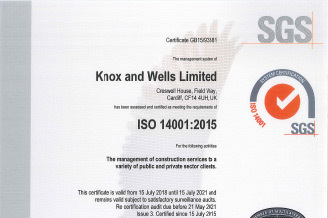 We register with considerate contractor on a site by site basis.